LOOKBOOK STYLE – The classic denim jacket is updated for the season with details that feel current. LOOKBOOK STYLE – The classic denim jacket is updated for the season with details that feel current. 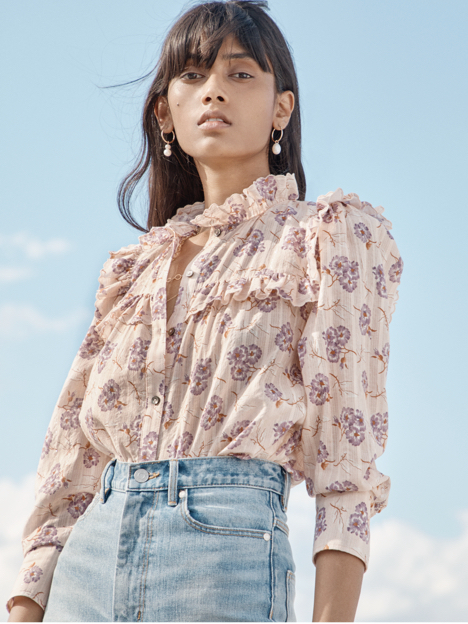 The rich acid-washed hue of the denim adds dimension and edge to the vintage-inspired silhouette, which is softened with femme details like puffed sleeves and a cropped length. Front button closure.